E-rideables leader introduces app-enabled Swagger 5 electric folding scooter. “From cars to skateboards, electric ‘smart’ tech is changing the way navigate—and experience—our world every day. We’re more connected than ever, and that includes personal transportation. We’re commuting smarter. We’re playing smarter. A to B will never be the same." SWAGTRON™, the undisputed leader in electric rideables, introduces high-end electric folding smart scooter as a new way to go the last mile in style. The Swagger 5 is an electric scooter developed as a smart solution for urban commutes and college campuses. 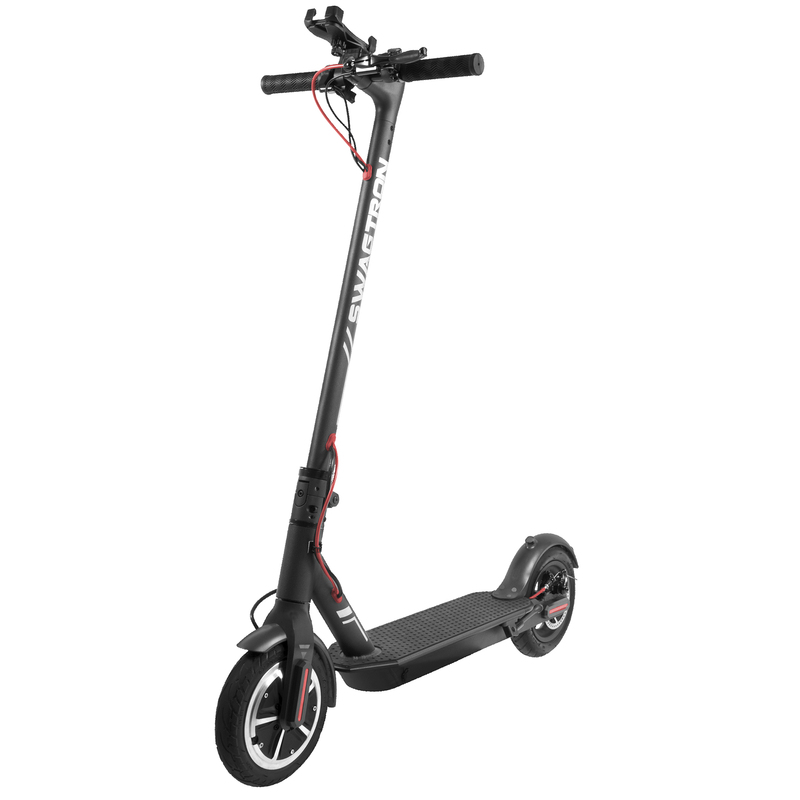 Swagtron’s newest commuter scooter features a powerful 250-watt motor, iOS/Android app integration and a lightweight, folding aluminum frame. Reach speeds of up to 18 miles per hour for up to 11 miles, then quickly fold the Swagger 5 for easy storage or transport. Pair your smartphone with the Swagger 5 via Bluetooth® and use the included bar mount to turn it into a real-time heads-up display. Use the app to activate cruise control, select one of three speed modes, plan your route with GPS, control the headlight and more. The app also includes a theft-deterrent lock and alarm mode. Speed and basic stats can also be viewed on the vibrant bar-mounted LED display. A rear disc brake paired with regenerative braking in the front hub make your ride safer and more efficient. An LED headlight and brake light keep you visible when daylight ends before your ride does. 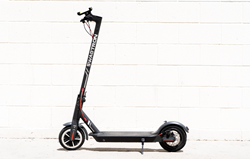 The Swagger 5 is the latest e-rideable that continues the brand’s commitment to remaining at the forefront of the confluence of technology and personal transportation. The brand cut its teeth on hoverboards, distinguishing itself in the space as one of the first to offer name brand UL-certified products. Swagtron quickly became synonymous with electric rideables, expanding its line to include electric skateboards, electric scooters and more recently, electric bikes. The Swagger 5 retails for $599 and is available now at Swagtron.com and fine retailers. SWAGTRON is the industry leader in electric rideables, having evolved as the forefront brand in its category. SWAGTRON was celebrated for being one of the first brands of electric rideables on the scene to offer certification by Underwriters Laboratories (UL), an independent consumer product safety company. Every SWAGTRON e-product is tested and approved according to UL standards. 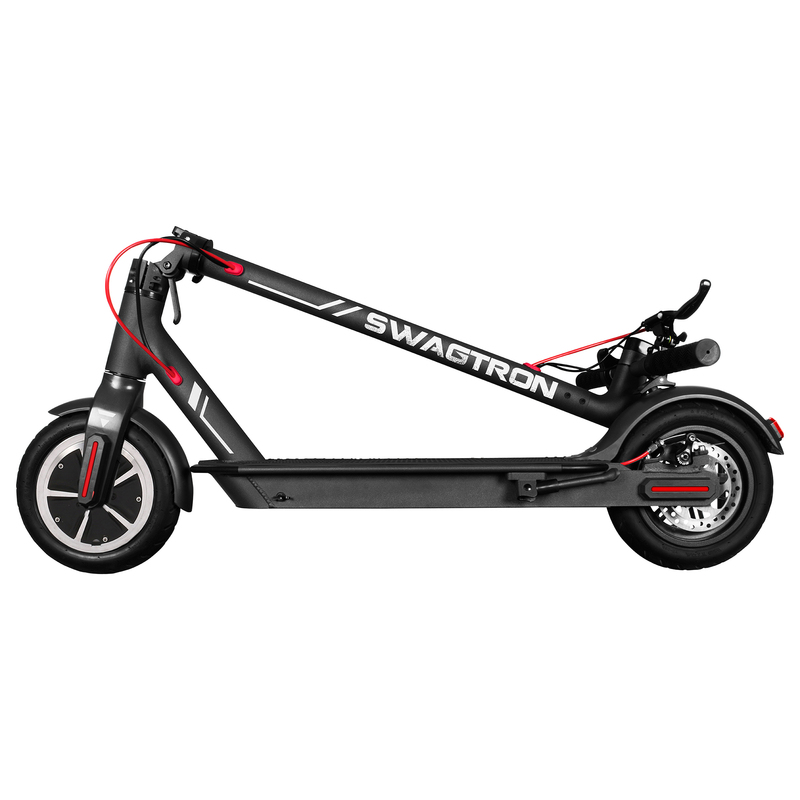 SWAGTRON continues to expand and improve its line of innovative rideable products.